VivaLaModa, the indie quarterly fashion and handmade magazine, has just made issue #11 available for free online. This winter edition continues the popular Project Reconstruction and brings you some fabulous winter accessories. Ready, Set, Sew – Project Runway is Back! 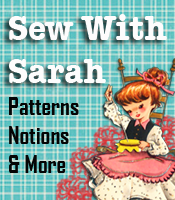 Get ready, set, sew! Season 8 of Project Runway, the show I love to hate hate to love but can’t seem to stop watching, is back this Thursday, July 29th at 9pm on Lifetime with a newly expanded 90 minute format. Set your DVR! The latest issue of VivaLaModa Handmade Fashion magazine, issue #9, is now available online for free. This issue includes a bunch of super talented clothing designers who have each reconstructed a mens shirt for the magazine’s Project Reconstruction spread. 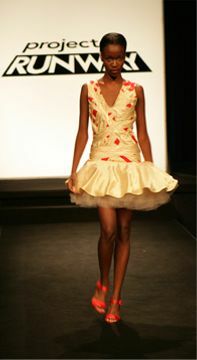 All of the designs will be auctioned off next month with the proceeds going to the CARE charity for Haiti. In the meanwhile, you can vote for your favorite design and one of you lucky voters will win the design of their choice. Check out the magazine today and vote for your favorite design – it’s all for a good cause! After a brief scare that the show might not be coming back, I’m happy to say that a new season of the hit show “Project Runway” will be starting this Thursday, August 20th. Heidi Klum, Tim Gunn and a whole new cast of designer wannabes will be moving from Bravo to Lifetime but the format appears to be the same with the winning designer reportedly (the show hasn’t announced the prizes yet) getting $100,000 to start their own clothing line, plus their designs will appear in Elle magazine. If you’re new to “Project Runway”, it’s kind of like “American Idol” for fashion designers. Each week the contestants are given a design challenge and told to “make it work”! Tim Gunn, former fashion chair at Parson’s The New School for Design, currently works at Liz Claiborne and assists the designers with their weekly challenges on the show. Once completed, the designs are modeled for Heidi Klum and the other judges, designer Michael Kors and Marie Claire fashion director Nina Garcia. The heart of the show, the judging stage always results in great entertainment and high drama. Quite often the designers are as interesting and colorful as their designs and the deliberation of the judges tends to bring out their artistic temperaments when one designer is asked to leave the show each week. Check the local listings for your station and time, and be sure to tune in this week to pick your favorite designs!